Freddie Mac's mortgage rates report put the capper on another week that's been heavy with housing data, at a time when a pressing, perpetually posed question has been: "Has the housing market finally bottomed?" To no one's great surprise, we saw more record lows last week. 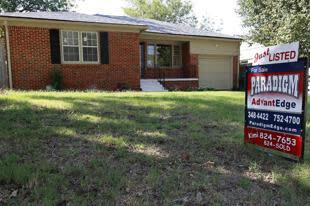 Rates slid to an average 3.40% for the 30-year mortgage, down from the previous week's 3.49%. For perspective: Last year at this time, the average 30-year was at 4.01%. The 15-year was down last week to an average 2.73% from the previous week's 2.77%. A year ago, the 15-year averaged 3.28%. As we noted last week, the Fed's move on Sept. 13 into QE-infinity territory has helped power the rate decline, and so far -- for borrowers -- it is a gift that keeps on giving. According to the Mortgage Bankers Association's report for the week ending Sept. 21, mortgage applications rose 2.8% from the previous week, while the Market Composite Index, which measures mortgage loan application volume, was up 2.8% on a seasonally adjusted basis. The Refinance Index was also up 3% from the previous week, which put it at the highest level in six weeks. These numbers are encouraging; however, low rates are a gift that many potential borrowers still cannot tear open, as the qualifications for taking advantage -- either to refinance or make the move into buying a new home -- are tough to meet. Some analysts feel those who COULD take advantage of the basement-level rates have already done so, for the most part. As an article this week in Bloomberg Businessweek opines, "The Federal Reserve's latest mortgage bond purchases so far are helping profit margins at lenders including Wells Fargo & Co. and JPMorgan Chase & Co. more than homebuyers and property owners looking to refinance." Data this week have been decidedly mixed: The Case-Shiller Home Price Index, released on Tuesday, was up at almost a two-year high for July. But on Wednesday we saw a slip in August's new-home sales (albeit while also seeing a record 11.2% median price rise), and the pending-home sales report, released Thursday, showed a drop of 2.6% from July to August. The index of signed contracts actually dipped below 100, the level considered "healthy" in this area. There was some positive homebuilder news earlier this week, as Lennar (LEN) reported strong quarterly earnings, briefly hitting a five-year high before settling down for the trading day, helping lift other homebuilder stocks such as Toll Brothers (TOL), D.R. Horton (DHI) and PulteGroup (PHM). And last week saw homebuilder confidence hit a six-year high. It's also worth nothing that real estate online listings company Trulia (TRLA) has stumbled a bit since its impressive IPO on September 21; they went public at $17 a share and closed at $24 on their first day of trade, but the stock is now trading at $21 and change (still well above the offer price). So a mixed bag for housing certainly remains, and we still have a long, long way to go before anyone can say the market is a healthy one, but cautious optimism seems to reign. CoreLogic chief economist Mark Fleming joined Daily Ticker earlier this week, offering the option that, "this time is different. We are more hopeful that the [the recovery] is more sustainable because it is predicated on fundamental balance in the housing market itself." Do you think this the case, or do we still have more bottoming out to do? Let us know your opinion in the space below.